This site is devoted to the musical artistry of Jennifer Cass. She is the premier harpist in the greater Santa Cruz and Monterey Bay area. Ms. Cass is an accomplished performer and highly regarded instructor. If you are interested in her next performance, having her play for your wedding, or would like to inquire about lessons, please make contact via the form below. 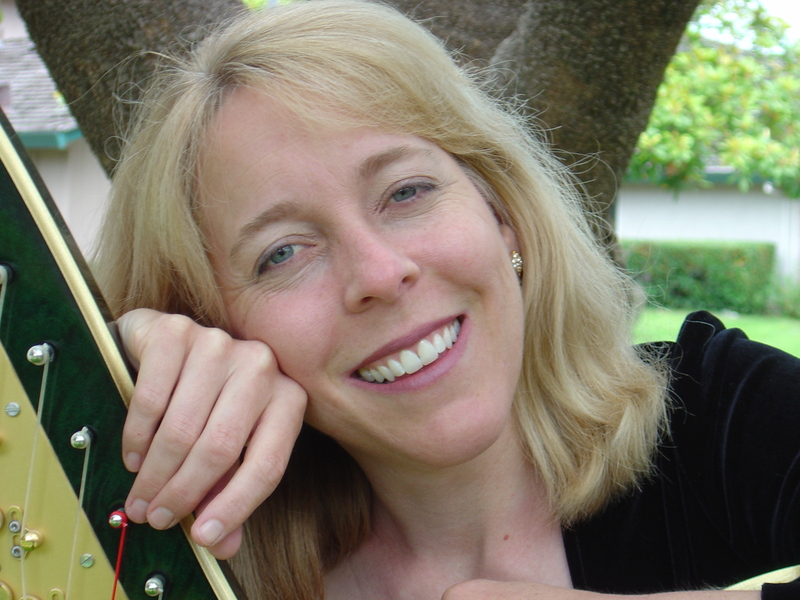 Jennifer Cass has degrees in music from the Eastman School of Music and in mathematics from UCSC. Ms. Cass has performed frequently with UCSC and Cabrillo ensembles, Santa Cruz New Music Works, Santa Cruz Chamber Players, and has been a featured soloist with Ensemble Monterey. In 2017, she joined Ensemble Monterey and Cabrillo Choirs in a premiere performance at Carnegie Hall. Locally, she has been an occasional harpist for the San Jose, Santa Cruz County and Monterey County Symphonies, San Jose Chamber Orchestra and for the Cabrillo Music Festival. She is also the harpist for the Tom Ralston Band. She appears on recordings celebrating the works of Germaine Tailleferre, Lou Harrison, and Barry Phillips, among others. In her spare time, Jennifer teaches mathematics at Cabrillo College.